The LimeSDR crowdfunding campaign is now in it’s final few hours (22 hours left at the time of this post), and funding is up to 95% or 473k out of its 500k goal. 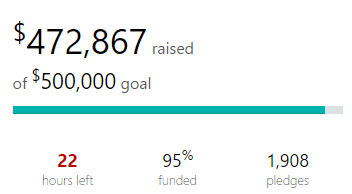 After a few unsure days it looks like the goal will be reached just in time. The LimeSDR is a RX/TX capable SDR with a 100 kHz – 3.8 GHz frequency range, 12-bit ADC and 61.44 MHz bandwidth. We’re not affiliated with LimeSDR in any way, but we think it is shaping up to be a much better version of the RX/TX experimenter radios that are on the market now, such as the HackRF and bladeRF. For a price lower than the HackRF you get a much better ADC, a larger bandwidth and full duplex TX/RX capabilities. The LimeSDR capabilities appear to be close to the Ettus Research B210, which usually sells for over $1000 USD. Also, one of the drawbacks of radios like the HackRF and bladeRF was the lack of decent ready to go software apps. LimeSDR have made promises to focus hard on developing a software “app” store for the device meaning that application software will be able to be downloaded very easily, not to mention that all their software and hardware is fully open source. During the crowdfunding campaign the LimeSDR is available for an early bird price of $249 USD. After the campaign the price will be raised to $289 USD for preorders, and $299 USD once the device actually begins shipping. In a recent update they show the LimeSDR being used to receive GPS satellites and decode the data in GNU Octave and also mention that the app store development will begin once crowdfunding is successful. It closed with $620k raised of a $500k goal. Bravo, excellent. And many thanks to rtl-sdr.com for their ongoing positive support of what looks to be a great new product when it gets released. June 21, 2016 - 3:34 pm R.H.
Haha mikos & marty are everywhere! I am glad it is funded. When do the $199 early birds get their boards? An interesting thing about the open hardware is that everyone can look at the design files, etc. But go ahead and find a place that will do 12-layer boards. It is not easy to do 6 layers. Couple years ago I looked into getting a beagleboneblack made but very few places could do 6-layers. And to 6 or 12 layers at low-cost in low-volume is not possible. 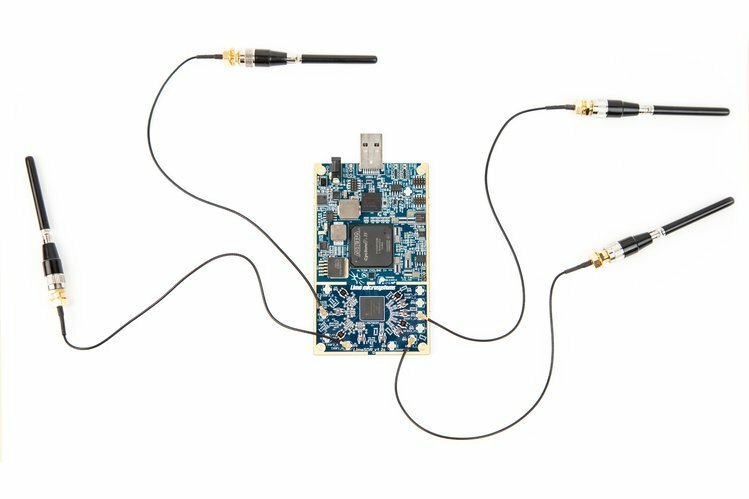 Get the early bird LimeSDR dev kit for just $199. The kit is based on Lime Microsystem’s latest generation of field programmable RF transceiver technology, combined with FPGA and microcontroller chipsets. These connect to a computer via USB3. LimeSDR then delivers the wireless data and the CPU provides the computing power required to process the incoming signals, and to generate the data to be transmitted by the LimeSDR to all other devices. June 21, 2016 - 9:42 pm R.H.
Ok, same as for usb type-a boards. Do you know what is the difference between the early bird @ $249 and the LimeSDR kit @ $299? As far as I know – none whatsoever. From what I saw they had the 500 early birds @ $199, then things slowed down in the campaign so they added 500 early bird second flock @ $249, then they added another 500 @ $249 early bird second flock, and finally today they added 200 @ $249 early bird second flock. So to me it looks like the boards at $199, $249, $299 will be exactly the same. June 22, 2016 - 3:54 pm R.H.
That is for the people that just want to spend $50 more for no apparent reason. Now I wonder if they figure it out between now and November. 100% of funding has been reached 🙂 so now we just need to wait…. 97% with 12 hours to go. So a little over 1K an hour they need to make, sounds like it is accelerating to the finish line. Really? No apps… you really think they will do more than repackage some GNURadio packages? 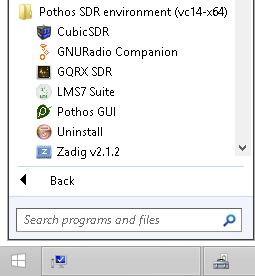 Look at all of the demos, it’s another SoapySDR or GNURadio example, very great apps. 16 hours and 95%. That’s no good. It seems that the goal will not be reached :/. Ettus. You’re safe. In the first 24 hours of the campaign they made about $55k (~2K per hour) so 23.4k in the last 15 hours (~1.5k per hour) does not sound like it is impossible. It is back down to 93%, $462,600 raised of $500,000, 20 hours left 1,882 pledges. So I guess some transactions must have been cancelled.